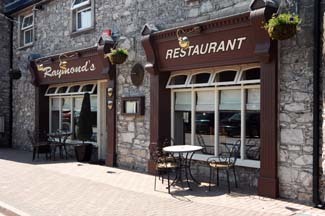 Formerly the deservedly popular Raymond's, this smart modern restaurant near the gates of the Old Midleton Distillery is known for excellent modern cooking and good service. It was taken over by Pat Ferriter and former head chef Stephen Lee in 2017 and, while the new owners are putting their own stamp on it, Ferrit & Lee retains a loyal local following - and it's especially convenient for visitors to the distillery. Seats 55. 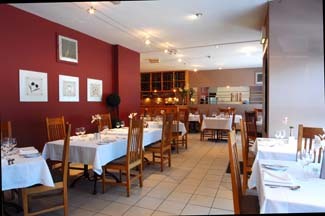 Open Tue -Sun 12.30pm-9pm, (to 9.30 Fri & Sat). 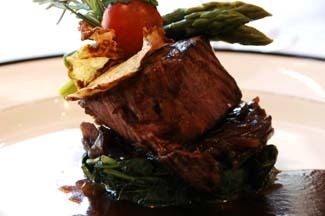 A la carte (3-course menu Sun). House wine about €23.50, glass €6.50. Closed Mon & bank hols. MasterCard, Visa. 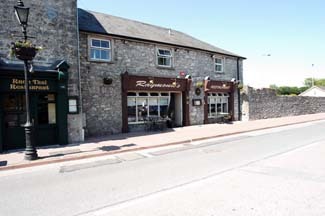 Attractively situated on the quieter short stretch of road leading up to the gates of the Old Midleton Distillery, and opposite the river and a small park, this smart modern restaurant is an appealing place with a loyal local following. Formerly Raymond's, it was taken over by Pat Ferriter and Stephen Lee (head chef for over a decade) in 2017 and renamed Ferrit & Lee. The new owners are putting their own stamp on it, but it retains its informal style and a reputation for interesting food, top notch cooking and great service. The cooking style is broadly European/modern Irishl, but the ingredients are very local - including seafood from Ballycotton and meats from local farms - and suppliers are proudly credited. Lunch and evening menus overlap to some extent, with the addition of some more casual options (soup, sandwiches, wraps) at lunch time. 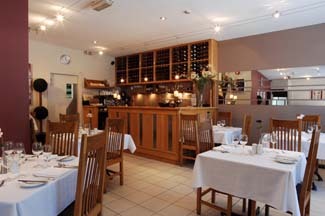 Popular mains featuring on both menus include Tempura Fillet of Haddock, with pickled salad, fries & house tartare sauce; Confit Leg of Duck, with smoked bacon, savoy cabbage & sauté potato; and Bacon & Smoked Cheese Burger on a Brioche Bun, with Fries & House Slaw, and a number if dishes are offered in two sizes - a very customer-friendly option. 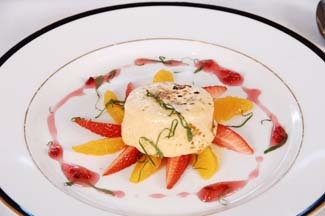 Desserts are classic and all the better for that - who could resist Royal Chocolate Mousse, with macerated strawberries and toasted hazelnuts - and there's a nice selection of local cheese with unusual accompaniments. Stonewell Cider from Kinsale and beers from 8 Degree in Mitchelstown and 9 White Deer in Ballyvourney, the latter including Stag Saor gluten free beer in their range.